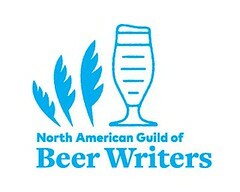 It's time for the annual Craft Brewers Conference, next week in Boston, Massachusetts. And I believe it, this year, to hold special, if not crucial, significance. The Wall Street Journal has reported that imported beer sales in the US plummeted 19% just in the first two months of this year. Sales volume of imported beer, generally more expensive than domestic brews, is slowing as Americans cut discretionary spending. Saying that "craft beer is different" or that "we're special" or that "we're recession-proof" is an antipodal Chicken Little response. Imports are more expensive than mainstream beers, as are craft beers. A decrease in sales for imports is a bellwether for all higher-priced beers. volume and dollar sales may have been up for 'craft beer' in 2008, but the amount of increase was dramatically less than that of recent years. The beer industry's overall sales in the U.S. were down about 4% in the first two months of this year compared with the same period in 2008. Breweries, wholesalers, retailers, pubs: A demonstrable decrease in discretionary spending is something we, as an industry, need to adjust to and to discuss at the conference. We fail to do so at out peril. I had planned to attend the conference, but circumstances have prevented that. Fortunately, my friends at Capitol City Brewery ( a DC-area trio of 3 brewpubs) will be attending, and will be Twittering while there. I'll be following. It's too important not to. More Twitterers at the CBC. You know a great bar ... when you're in one. 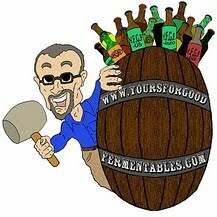 Serve better beer and save money! The Session No. 25: Smoke 'Em If You Got 'Em!